Peter Ryan is a Perth Based contemporary artist who specializes in oil paintings and pencil drawings. With a background in animation and script writing, he enjoys incorporating his passion for storytelling into his artwork. “I like to create art that everyone can enjoy for different reasons, whether it is the colours, the subject matter, or the fact that it just makes them smile, I’m glad I can bring that into peoples homes”. Peter was born in Perth Australia and from an early age showed a strong interest in art, particularly cartoon drawing. It was only in high school that he starting painting in oils and became a more serious painter, devoting his time to painting which rewarded him with multiple accolades and prizes. After school Peter enrolled in Design at Curtin University which, although not fine art, still taught him many useful fundamental skills which in time would help in his artwork. He then grew away from 2D art and into 3D animation where he created many short animated stories, and was chosen to participate in the scriptwriting course with an established animation scriptwriter from LA. For a large part of his career Peter worked for a 3D animation company as an animator and production manager, creating visualisations, animated graphics for TV and adverts. 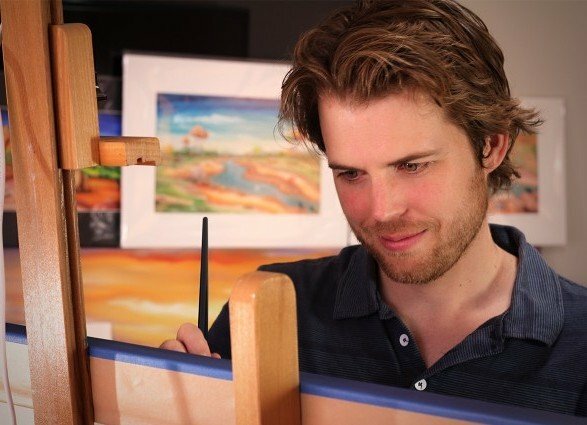 After years without creating art, in 2009 Peter decided to paint again and after receiving a lot of positive feedback began devoting his time to make it his career. In 2010 Peter established the company Tail Art, through which he creates and sells fine Artwork and Limited edition prints. His art is predominantly oil on canvas paintings and pencil sketch drawings. 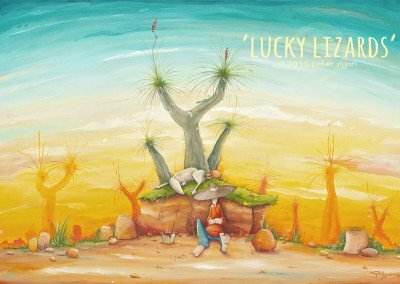 Although it is fine art, it is a toon-style with interesting characters, story and humour. Peter’s artwork has been well received and the number of galleries and display locations wanting to sell his work is steadily growing.